Comments: Has underlining, and or highlighting and or other markings. Considered a reading copy only! 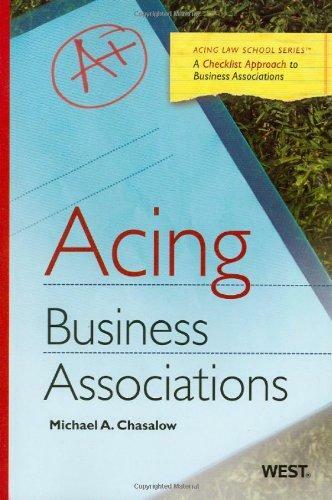 Michael Chasalow is the author of 'Acing Business Associations (Acing Law School )', published 2010 under ISBN 9780314906731 and ISBN 0314906738. Loading marketplace prices 12 copies from $29.99 How does the rental process work?